Watch this video above to see what Trinity can do for You. It's amazing...making your 1 line smart phone smarter! Which operating systems will TRINITY work on? Will I use my Data Plan for calling on my Trinity App? Why is there a time lag when I am Calling Out? Is there any special process for Receiving Calls? What happens if I am on Trinity call and another call comes in? Do you provide 911 or e911 service? Voice Mail – picking up Voice Mails on the handset and email? How do I change the position of my Trinity Number(s) and move the frequently used one to the top? How do I use the DO NOT DISTURB feature? Porting – can I Port a number in, can I Port a number out? 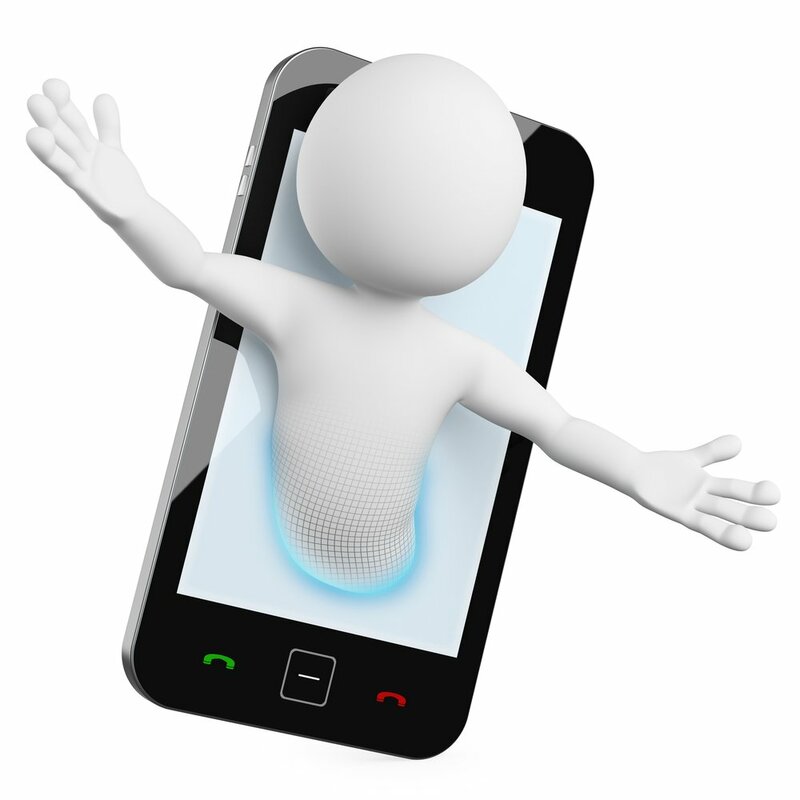 b) Our services can be downloaded and used on up to 3 different mobile devices, all of them sharing 1 telephone number! c) Consumers will generally need 3 or more different telephone numbers: one for work, one to replace/port their existing home residence and another for their vacation/weekend home or cottage! Apple: It will work on iOS 6.0 version and above . Android: It will work on Android 3 version and above . The one thing you should remember is that since Trinity uses the voice network, you will be using the minutes that come with your primary cell phone provider / plan (which in most cases is ‘unlimited’). Plus you will be using the minutes that came with the Trinity Plan you signed up for. What name will show up on the Caller ID of the party I am calling? There are two “names” associated with your Trinity Number and if you choose both these names can be the same or different. The name you enter into your Handset to identify your Trinity number will not be shown to the party you are calling, instead, they will see the name you specified during the Account Set-up. For example, if during Account Set-up on the Trinity website, you used the name "Dallas Office" and on your handset you used the name "for use by Texas customers" then the Caller ID seen by others will be "Dallas Office" i.e. what you entered on the website. 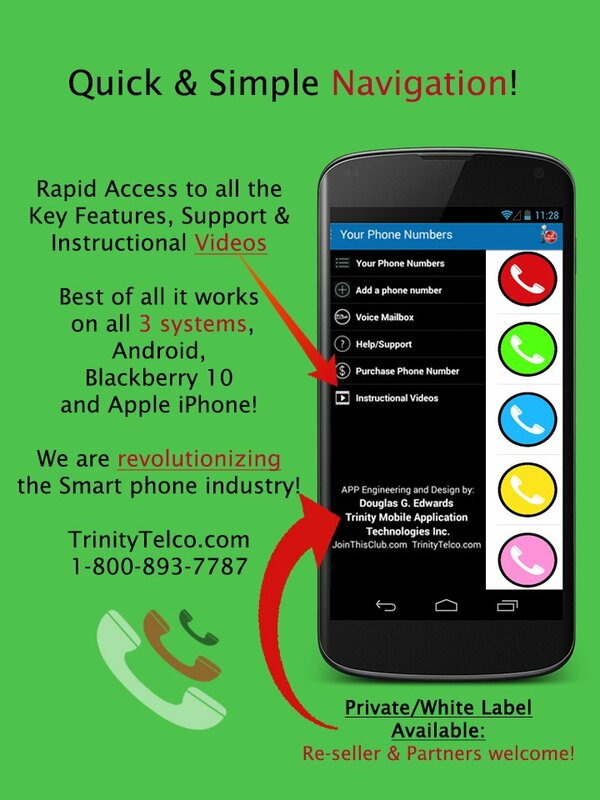 Based on carrier and device operating system, it can take between 10-15 seconds for Trinity to connect your call. During this time lag, you may hear certain beeping sounds and parts of your Account Management IVR. The key to remember is that that person you are calling will NOT hear any of this nor will this impact the call quality in anyway. In scenarios like this, the end result will depend on your carrier's network and whether you have the Call Waiting feature. In most cases you will get a Call Waiting notification that another call is coming in and you have the opportunity to accept it while putting your Trinity call on hold. As confirmed during the Account set-up process and mentioned in the Terms and Conditions, Trinity doesn’t provide any sort of 911 or emergency calling feature. Given the virtual nature of our service and number(s), it is not possible to provide this type of calls. Please ensure that you have made alternate arrangements for these types of calls. All your Voice messages will also be delivered in an email, as an attached Audio file. Please note that the email will not come under the Trinity Telco brand name, instead it will come in under our "JoinThisClub" brand name or another partner brand name. 'JoinThisClub' is our venture that helps charities, non-profit organizations and other firms manage their customers, e.g. list collection, list management, database management, etc. Also, please make sure that your email filter doesn't treat the incoming email (with your voice mail) as junk, spam. 2. Pay the amount for the required services on the Subscribe page. 2. 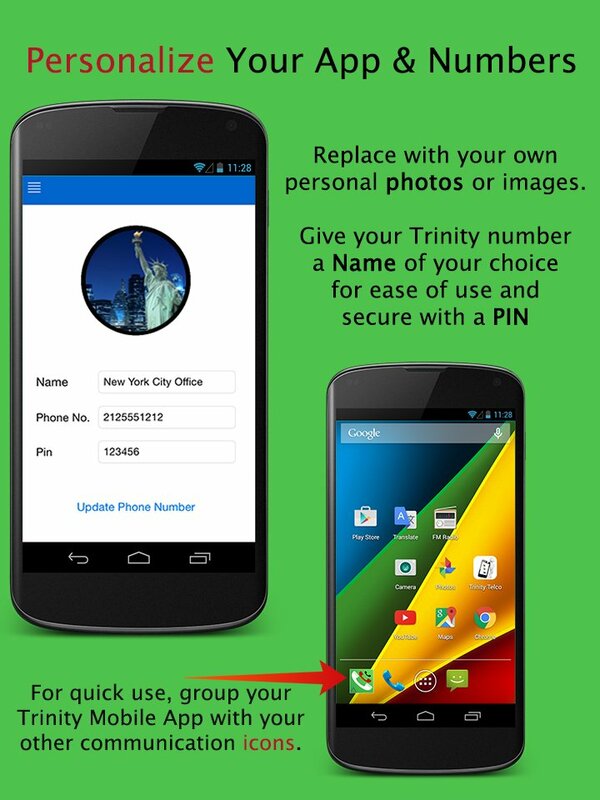 Download and Install the Trinity App (if you have not already done so) from the Apple or Android App store. You should change the default PIN provided in your Welcome email. Plus if you feel the need, the PIN can also be changed periodically in the future as well. Please note that while you will not need to enter the PIN to make Calls, you will require it to access your account and listen to your Voice Mail. 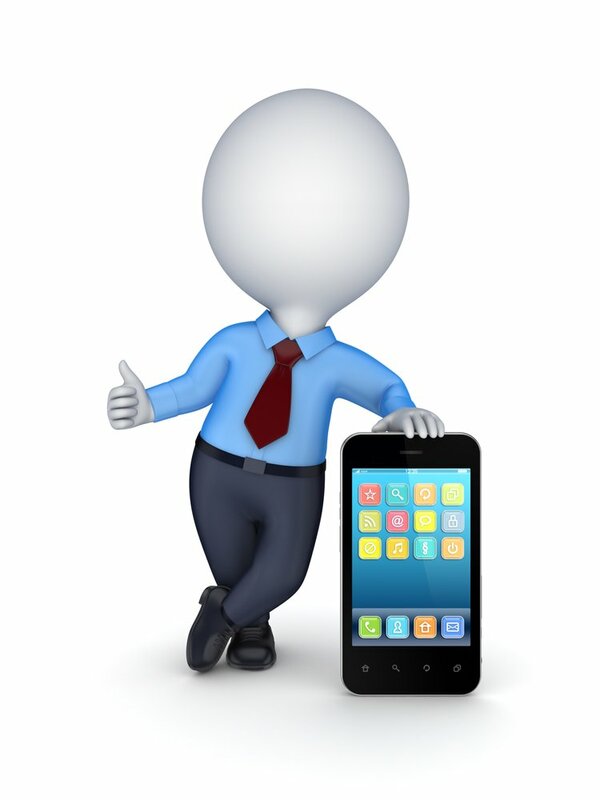 It is very important that you first change it on the IVR/Account before changing it on the Handset. In case you do the reverse and first change it on the handset, then you will be stuck and not be able to dial into your account to make the second change. 2. 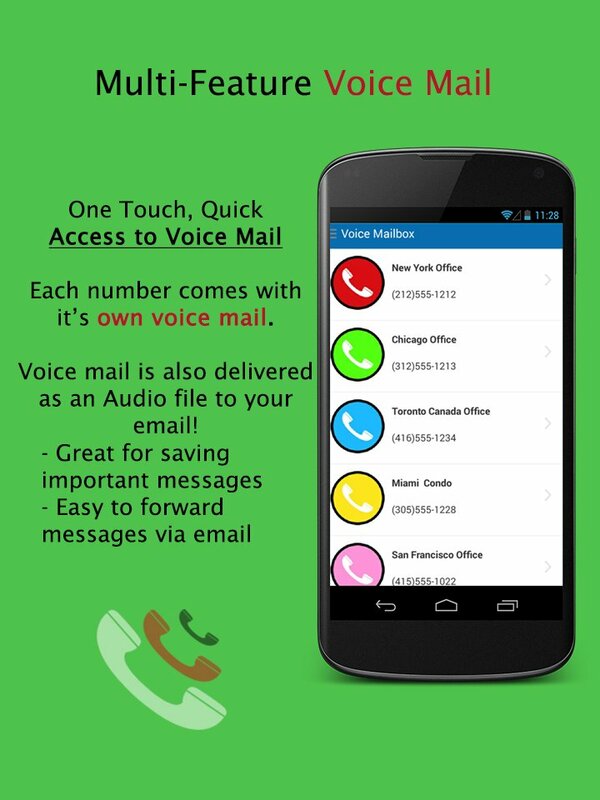 Choose the option, "Voice Mailbox"
4. The system will start dialing. Wait until IVR mentions ………………………. Press and HOLD the WHITE area next to the name/number. How do I personalize the Trinity Number with a Personal Photo and Unique Name? The editing method described below will allow you to make three types of changes. On the screen that shows the “list of your phone numbers”, the Trinity numbers will be displayed according the order in which you activated them. However, for ease of use, you may want to move their default position. For example, the number you want to use the most maybe in the 5th position or even on the next screen and you may want to bring it to the 1st position. Failure to fully follow the process will mean continued billing. NOTE: We use advance billing and as mentioned in our Terms & Conditions, there is no pro-rated refund for Monthly Customers who cancel in the middle of the billing cycle/month. However, for Annual customers, there is a pro-rated refund for the remaining months, subject to an administrative processing fee, and the refund will be made in the same format as the original payment, e.g. PayPal/Credit Card. 3. Press and HOLD the WHITE area next to that name/number. 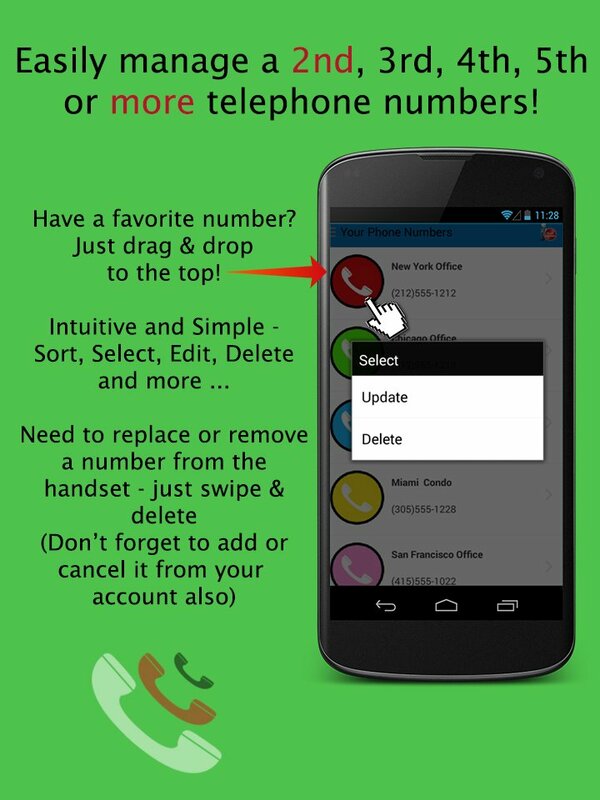 Once the number has been deleted from the handset, using the method described above. You now need to cancel it from your Trinity account. To do so, you need to send an email to the Trinity support email address provided on the support page. In the subject line of the email please mention that this is to cancel a number. In the body of the email please provide the number(s) that you are planning to cancel and your first & last name, and if applicable the company name, that you used to set up the account. For proper processing of your cancellation, we recommend that you send the email at least 7 days prior to the end of your billing cycle date. The last step of the process is for you to cancel any recurring billing that you may have set up with PayPal / Credit Card provider. Failure to do so, might mean billing will continue and a delay in the number cancellation. Turn on DND and send incoming calls directly into your voice mail. Choose option 5 to turn on DND. To turn DND off and to start receiving calls, simply follow the same process again. 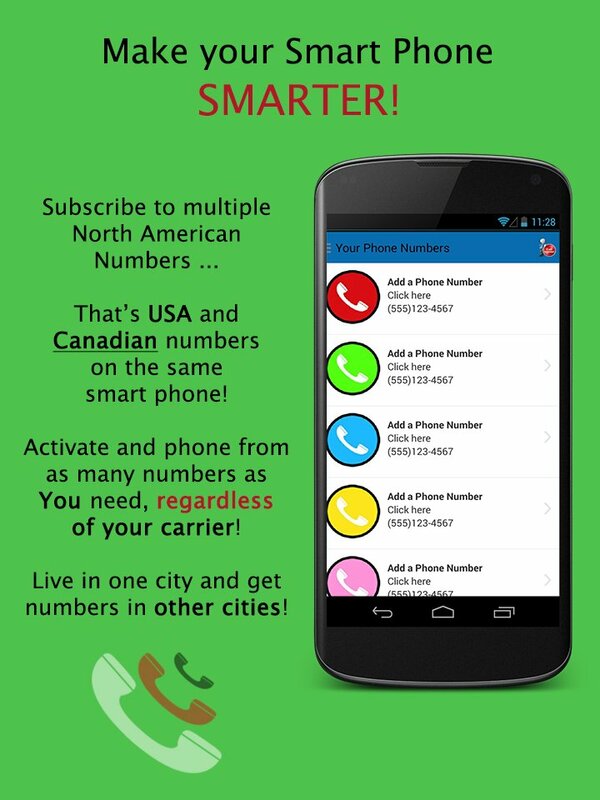 In a majority of cases, you will be able to Port in your existing number from another carrier. 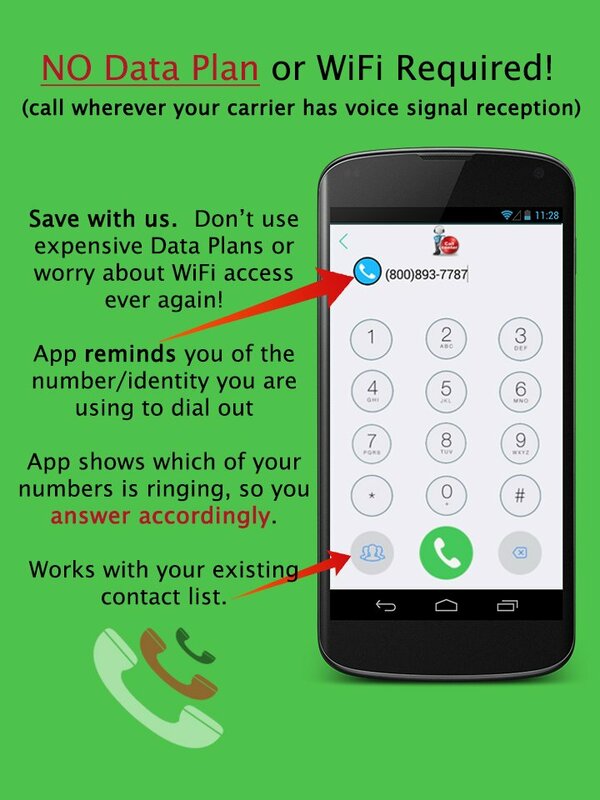 However, there are certain numbers / areas / carrier where it will not be possible for Trinity to port your number. To Port In a number, you will need to fill out the information requested in the order form. However, certain carriers may ask for additional information, like a faxed copy of the previous bill or a signed authorization from the account holder. In such cases, we will contact you. It is possible to port out your Trinity number. Your new carrier will handle the port out request, therefore, please follow their process. It is important that you DO NOT cancel your Trinity number before your new carrier has completed the Porting process, otherwise you risk losing the number. And as per our Terms and Conditions, once the porting process has been completed by your new carrier, you must inform us to cancel your Number/Account, otherwise you will continue to be billed – with NO pro-rated refund.